What is the most popular trap? Over the last few days I've been flicking through a couple of old Russian endgame books by Averbakh et al. The books (which were published in English by Batsford) were part of a project to write an endgame manual for soviet chess players. It turned out the task was too big for one book (or one author) and so it is divided up into different types of endings. One of the things I looked at was the accuracy of the answers in the book, seeing if they would stand up to modern tablebase analysis. I took a selection of interesting position and put them into the http://www.k4it.de/index.php?topic=egtb&lang=en tablebase page and checked the answers. So far I haven't found any significant errors (just the odd alternative move deep into the solution), and no instances of the wrong assessment being given. With the world top 4 usually containing Anand, Carlsen, Aronian and Kramnik (is various orders), Susan Polgars website has posed the question about who will be the next young gun to break into the world's top 5. The choices are Caruana, Giri, So, Liem or 'someone else'. At this stage So holds a slight lead over Giri with Liem in third place. Now I must say I'm a little surprised that So is in the lead, although reading the comments on the poll (click on the view results link to see the 30 posts so far) did possibly explain why. Based on the cheer leading for So in the comments section I'm assuming that national pride has a part to play, with his Filipino fans 'getting out the vote'. The Giri supporters, who are almost as numerous, have added their voices to the debate, with a bit of back and forth name calling the result. Now I voted for Giri (before I saw any of the comments or results) as I felt that being based in Europe is a big advantage in terms of invites, strong competition etc However natural talent also counts for something, which is why my son was adamant that Liem will be the best of the lot. But as the poll question asks who will make the top 5 in the next 3 years, it may well be 'no one' is the right answer, with the current top 4 plus Ivanchuk/ Nakamura or even a resurgent Topalov keeping them at bay. Finding what is the most popular opening trap (in terms of games played) turns out to be quite tricky. In part his is due to the difficulty in searching for numbers, but it also depends upon what is a 'trap'. Is it the clear win of material (or mate), or is something more subtle, like a simple positional advantage? In Muller and Knaak's "222 Opening Traps after 1.e4" they report that the "O'Kelly Trap" has been played 2,325 times in Megabase 2005. However this really is a positional trap as after 1.e4 c5 2.Nf3 a6 3.d4?! 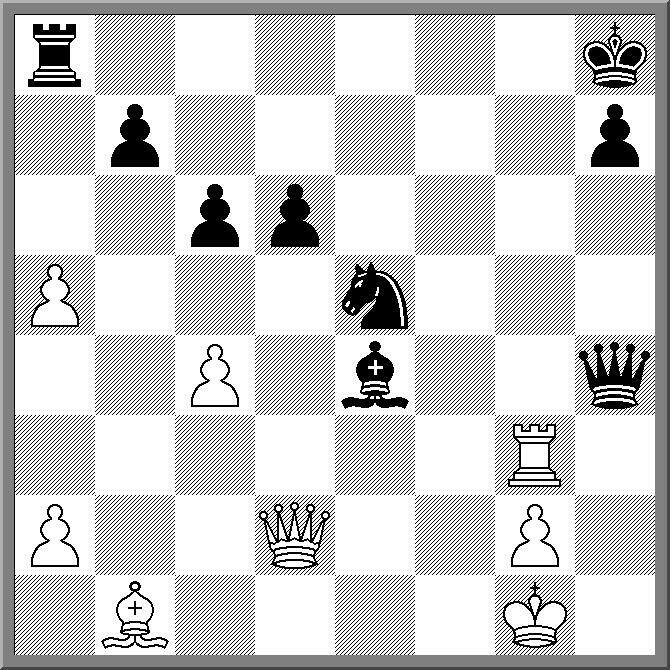 cxd4 4.Nxd4 Nf6 5.Nc3 e5 Black is thought to better as Nb5 is ruled out. However this runs perilously close to Larsen's observation that the Sicilian is a positional swindle, as White exchanges a central pawn for a wing pawn. Even a line like 1.e4 c5 2.Nf3 e6 3.d4 cxd4 4.Nxd4 Nf6 5.Nc3 d6 6.f4 Be7?! 7.Bb5+ Bd7 8.e5 with the hope of 8 ... Nd5? 9.Nxd5 exd5 10.e6! (played 385 times) only leads to a slight advantage if Black plays correctly (ie 8. ... dxe5 etc). Once again I missed out on the Bermuda Open, although I would regard Rotorua as an adequate, if not as exotic, replacement. Those that did go once again enjoyed themselves immensely , with both the chess, and the social activities, first rate. Although I don't have all the results to hand, I do know GM Larry Christiansen won the tournament (and a free return trip) after surviving a 5 player blitz playoff after he, GM Alexander Ivanov, GM Pascal Charbonneau, GM Nick de Firmian and IM Dmitry Schneider all tied for first place. FM Rupert Jones, who combined FIDE Development Commission work with the tournament, played Christiansen in the first round (and lost) but went on to win the Under 2000 section. For further reports on the tournament you can read A two hour trip to paradise or Polly Wright's Castling Queenside blog. The contest to find a better method of rating chess players (see my earlier post) has come to an end. It was won by Yannis Sismanis, who utilised a method called stochastic gradient descent. The winner has published a short paper giving the technical details of his method. Does this mean he has developed a better ratings 'system'? Based on my reading of the paper, I would say not. Simply because the conditions of the contest involved utilising a large set of training data which was then tested against a smaller set of test data. However the training data covered a number of rating periods (ie not just results from the previous rating period), while most ratings system simply use the results from tournaments played in the previous 2,3 or 4 months. (In fact his method had a discounting factor for older games in the data set). However it does indicate possible improvements in how ratings are calculated. In fact there is now a follow up contest to look at this is issue, once again run by Kaggle. The conditions are slightly more restricted than the previous one, but the winner picks up $10,000 and a trip to Athens to present their system to FIDE. The shape of the 2011 ANU Masters is becoming a little clearer, with Andrew Brown continuing to lead with 3 wins from 3 games. With the draw seeing the top 3 players meeting in the first 4 rounds, Brown's win over second seed Andrey Bliznyuk improves his chances of winning the event. Next week he plays top seed Junta Ikeda, who was held to a draw by Jeremy Reading in this round. Peter Pullicino scored his first points of the tournament, after Adrian De Noskowski pushed the wrong pawn in the ending and had to surrender a piece. Miles Patterson moved to +1 after he won a couple of pawns against Ian Rout. One of the more distinctive characters of the Canberra chess scene, Gus Korda, passed away on Sunday evening (20 February 2011). Gus was an almost continuous fixture at the Saturday Street Chess events over the last 20 years, and played his last event the day before his passing (He scored a respectable 4/7). He was very passionate about his chess, would have easily clocked up 6,000+ rapidplay games at Street Chess alone. Sometimes this passion overflowed and it would be fair to say that Gus could sometimes be a handful for any arbiter. However he seemed to mellow with age, and while he would still strongly argue his point of view if he felt he had suffered an injustice, I suspect this was more for show than anything else. Surprisingly for someone who argued with officialdom so much, he did have a track record as an organiser. He brought the 1974 Australian Championship to Cooma, and was instrumental in the Doeberl Cup's move to the Italo-Australian Club. He also secured sponsorship for Street Chess from a couple of local Canberra businesses, through his friendships with the owners. While poor health affected his strength in recent years he was strong enough to play in the 1971 Australian Championships, and in the 2000-2001 Australian Open managed to draw his game with Egyptian IM Mohamed Ezat. Returning to shopping on Ebay, I purchased a set of bulletins from the 1990 Novi Sad Olympiad. I haven't gone through them all, but the ones I've read contain a number of interesting facts. Even though the event was held 20 years ago, there were a still number of familiar names taking part (ie Sam Goundar for Fiji, Greg Canfell & Max Fuller for Australia, Rupert Jones for Botswana!). The tournament also used accelerated pairings, which like 2008 was not a popular decision. And the following game from the first round of the tournament might be considered a bit of history. Why that is I'll leave as an exercise for the reader. In a somewhat low-key announcement, the Australian Chess Federation is changing some aspects of the way ratings are calculated in the country. After 24 months of testing the changes (to improve predictive accuracy), the system has undergone some minor changes (What exactly they are hasn't been stated). What the ACF have also done is to run the modified system over the data from December 2000 to December 2010, recalculating all the ratings in this period. The net effect on ratings is an average increase of 73 points over the list published for December 2010. The ACF is not publishing an updated list for December 2010, instead simply publishing the scheduled March 2010 2011 list with the new ratings. While improvement to the accuracy of ratings is good, in the short term this will cause some difficulties for tournament organisers. Some tournaments that are run in sections (eg Doeberl Cup/Grand Prix) have already advertised there tournament conditions and a number of players may find themselves moving upwards, to a higher section. On the plus side, there would be some players who may not have been eligible for some tournaments (Australian Championships, Doeberl Cup Premier) who now qualify, despite not lifting a piece for a year or 2. Well Borders has now gone into receivership (both here and in the United States, despite the US and Australian operations being owned by different companies), and while I feel sorry for anyone who is going to lose a job over this, I wondering whether they could have dome more to stay in business (like re-ordering the same sort of books that they had just sold). Over the last few years I've seen a few suggested 'Visualisation' training ideas mentioned in print, and I've even seen a couple of commercial software products advertised. But today while searching Freshmeat for new open source chess products, I came across CVT, ot Chess Training Tools for Visualisation. It is a Java program written by Dietrich Kappe, and contains a number of different training modules designed to help you improve your calculating abilities. For example there is 'Color' which names a square and you have to choose whether it is white or black, and 'Same Color', which names two squares and you choose whether they are the same colour or not. 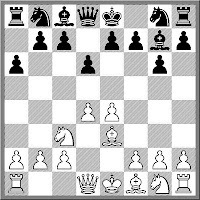 The 'Knight' and 'Knight 2' exercises name two squares and you decide whether they are a knight move (or two knight moves) apart. It also has a weak chess engine, with a twist. When you play it, you can specify the delay between the moves played and when they are shown. If you set the delay to 2 ply, you see the board as it was 1 move ago (2 ply = 1 move for each player), forcing you to keep the real position in your head while you analyse. Now while a lot of this may seem trivial, I know a number of strong players who actually do these sort of exercises on a regular basis. The principal is based on the more correct the position is in your head, the less mistakes you will make in calculation. CVT can be downloaded from http://code.google.com/p/chesstraining/ You do need Java on your computer to run it, but most machines already have it installed, and it ran without problem for me. Last years event saw a field of 32 players, with Andrey Bliznyuk winning the title ahead of FM Junta Ikeda. The second round of the ANU Masters was notable for opening choices that went horribly wrong for some players. Both Ian Rout ( against Andrew Brown) and Peter Pullicino (against Miles Patterson) were struggling within the first 10 moves, and both eventually lost. Junta Ikeda managed to break down some solid defence by Michael Reading with an exchange sac in the ending, while Jemery Reading found that the two bishops weren't compensation for two pawns. In the rounds featured game Alana Chibnall looked like she was successfully meeting a kingside attack with play on the other wing, when a clever pawn offer gave Adrian De Noskowski the tempo he needed to conclude the game in his favour. The organisers if the Mainz Chess Classic have announced the tournament will not be taking place this year. The usual reason, a lack of money, is the major reason for its demise, and it is hard to argue with that. Also hinted at by the organisers is the paradoxical effect of it being an event somewhat out of the ordinary (Chess 960, Rapid Chess etc) making it popular with players, while at the same time being taken less seriously by the same players. Also in doubt are a couple of other events like Linares and Sofia. It seems that the GFC is still biting organisers with sponsors a little shy of putting up big dollars for big names. The Belconnen/UC Chess Club meets at the University of Canberra in the CLIVE PRICE SUITE 1 which is up stairs in Builing 1. They are expecting us to be there from 6.45 to 11pm. The building can be accessed from any entrance up to 10pm when the doors lock. People can leave but not enter the building after 10pm. Our first session is Tuesday 15th February. All old and new members are welcome and we will try and generate some new membership through the university student e-mail. A club fee of $25 is to be charged per year which will cover the costs of rating fees for each member throughout the year. A further $25 is charged for ACTCA fees, $15 for children. As an old Belconnen CC member I encourage all Belconnen based chess players (past or present) to get along to the club, as the best way to be part of a big club is to join a small one first! There used to be Grandmaster Openings (Nimzo, Semi-Slav, Sicilian Poisoned Pawn) and Club Openings (Scotch Gambit, Colle, Latvian Gambit). Then the lines became somewhat blurred e.g. Kasparov adopting the Scotch and the Evans Gambit, Nakamura playing 2.Qh5. But there were some lines that GM's didn't play (or cross). One of these lines was the Danish Gambit, at least until recently. In the recent Moscow Open Yu Yangi decided to turn a Goring Gambit (a surprise in itself) into a line of the Danish Gambit, by offering the b2 pawn, instead of playing Nxc3. He then proceeded to successfully hack his 2550 rated opponent, in a manner fitting the choice of opening. However there is one question that nags me. Is the fact a GM has played the Danish means it is now sound, or is it simply a function of the number of GM's we now have? I'm slowly adding my early chess games to by database, and looking back, I'm sometimes suprised by the games I played 20 years ago. Certainly I had less chess knowledge then, but I suspect I made up for it with blind enthusiasm. 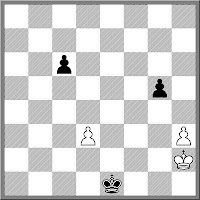 The following game is an example of this, where I decide to sac a pawn (and then a piece) in a variation I probably knew nothing about. It turns out the sacrifices are pretty sound, and my eventual loss can instead be attributed by an overwhelming desire to checkmate my opponent by any means possible. Instead, if I had kept a cool head I probably could have reversed the result. Last month I reported on a new program Houdini. Via Chessvibes comes news that it has just defeated Rybka 4 in a match 23.5-16.5. However this result has re-started a huge debate concerning the origin of Houdini and other programs like Strelka, Ippolit and even Rybka itself. Interestingly the author of Fruit, Fabien Letouzy has become involved in the debate, in a round about way. Letouzy has been away from Computer Chess for the last 5 years but was recently asked to check of the program Strelka had been based on Fruit. He concluded that it was likely that Strelka was a 'bit-board' rewrite of Fruit. What he wasn't aware of until after he checked Strelka was that previously the Rybka team had claimed that Strelka was just a decompile of Rybka 1.0. So following the principal of 'If a=b and a=c then ...' there are now questions being asked about the birth of Rybka (and whether it is a rewrite of Fruit). This may have serious repercussions for the Rybka team in that Fruit was released under the GNU Public License, which requires that programs that use GPL licensed code must themselves adhere to the GPL conditions (ie make their source code available, although the GPL does not preclude such programs being sold for profit). This portion of the debate is now happening at Talkchess, although be prepared to wade through a huge number of posts if you want to read the entire discussion. I'm following some of the discussion concerning the decision by the organising team headed by Malcolm Pein to withdraw their offer of hosting the 2012 World Championship Match. I actually don't have an opinion on who's fault it is, as I suspect it is just a case of two sides looking for different outcomes, and negotiations couldn't bring them together. What I am seeing however is a group of comments that somehow believe that (a) there are sponsors just waiting in the wings to pour millions of dollars into chess but (b) chess administrators are somehow driving them away. Now as someone who has spent a lot of time looking for sponsorship for chess events I'm pretty sure I would have noticed these millionaires lurking in the shadows. I've certainly noticed the millionaires who have said "not for me", "doesn't fit the companies profile", or "we have other sponsorship priorities", as they are pretty thick on the ground, but not the other sort. So my advice to those wondering why organisers cannot find sponsors, or why tournaments don't seem to attract the worlds number 1,2,3 etc is to walk a mile in their shoes. But before you do, be prepared to pound a lot of leather. The 2011 ANU Masters, Canberra's only FIDE rated club event, began this evening with 4 of the 5 first round games. This years event is stronger than last years, with FM Junta Ikeda and soon-to-be IM Andrew Brown joining the field of club stalwarts. Due to the luck of the draw, the top two seeds Junta Ikeda and Andrey Bliznyuk played in the first round, with the game ending in a draw. Third seed Andrew Brown almost had the same result against Peter Pullicino (the only unrated player in the field), but with a draw in sight, Pullicino tried for more, only to have the position blow up in his face. Michael Reading and Adrian De Noskowski played a quick (in terms of time, not moves) draw, while Ian Rout won the following game, with a combination of opening prep, and a nice sacrifice. While 1.a3! is a useful choice of opening against over-booked juniors, it has the slight drawback of giving black too free a hand in reply. If you are reasonably confident your opponent will meet 1.e4 with e5 then you have the chance to try Mengarini's Opening instead. 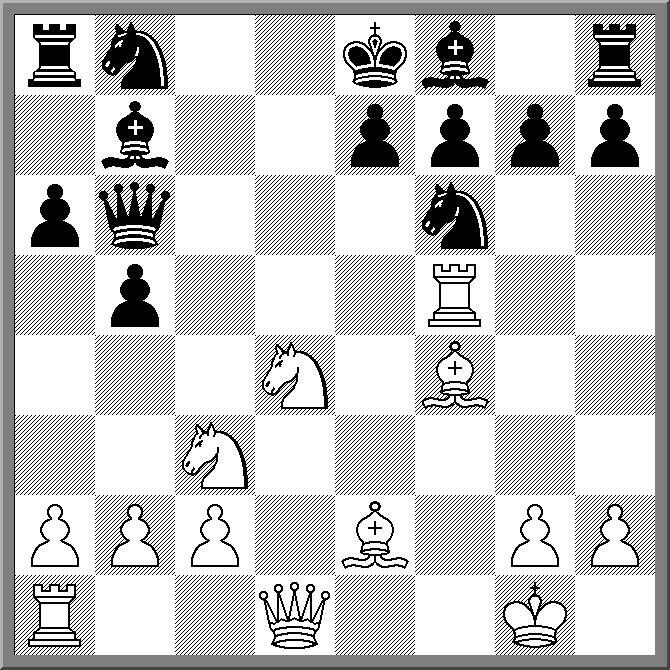 It starts off as a Vienna, with 1.e4 e5 2.Nc3 Nf6 (in my experience 2.Nc3 is always met with 2. 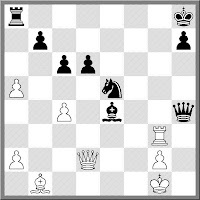 ... Nf6) and only now do you play 3.a3! (For maximum effect, gently slide the pawn with the pinky of your left hand). While you have essentially handed the White pieces to your opponent, you have managed to rule out a number of opening choices for him/her, including the Ruy Lopez. One tricky line for White is if Black continues with 3. 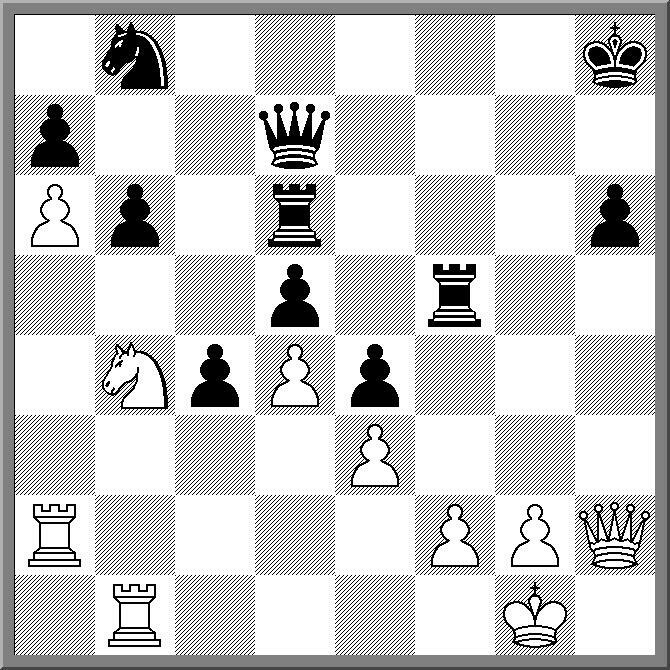 ... d5 The you can enter a favourable line of the Scotch (reversed) with 4.exd Nxd5 5.Qh5! as 5. ... Nb4 is not available to Black. Of course Black may instead try and cross your plans by choosing something different, or in the game below, chickening out entirely with an early a6. If your opponent does decide to give the White pieces back, chalk it up as a moral victory, and convert your mental advantage into a material one. The FIDE Trainers website (trainers.fide.com) has a number of documents, including a definition of the classification system used. Interestingly part of the 'mission' for each of the levels (from Developmental Instructor upwards), contains a requirement to bring students to a competitive level. Implied in this definition (at least to my reading) is an obligation to move students into competitive chess. Of course this makes perfect sense, as their seems to be little point to teaching chess otherwise. Unless of course that chess isn't being taught as an end to itself, but as part of a broader educational discipline. So I guess one could ask the question. Are you a 'real' coach if your students don't play competitively? I was quite pleased when Andrew Brown won his last round game at the 2011 Oceania Zonal to clinch the IM title (and second place). Because a number of years ago I lost a game to Andrew that made me consider whether I was even competent enough to keep on playing. It didn't have anything to do with Andrew mind you, except that he was on the other side of the board when I simply blew a winning position by blundering a piece with check. The loss of that game created a real crisis of confidence in me that affected my play for the next few months. I began to worry about every move, making sure I wasn't making the same mistake, but such "second guessing" can affect how well I play. It took a few months before my results began to recover. Eventually they did (I even won against Andrew in the 2005 ANU Open), and while it wasn't a happy experience, I can now look back and say "Don't be so hard on yourself, he was a future IM after all"
FIDE have just announced a new resource website for FIDE Arbiters. It is arbiters.fide.com and is designed to be a central point of information for arbiters (like the FIDE Trainers website is for trainers). For the moment its main function is to consolidate the information that can be already found on the FIDE website, albeit with some searching required. I suspect it will expand in the future, with the website inviting questions from arbiters (and others) on the subject of the laws of chess. Based on the following game, the plan to blow the Modern out of the water with Be3, Qd2, h4 isn't the only successful idea in the position. In fact after 4. 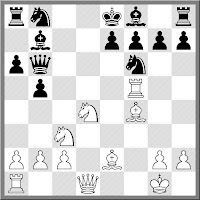 ... a6 such a direct strategy can backfire on White, which is probably why Weber chose the f4-f5 idea instead. Having broken up the king side pawns his pieces then went straight for the King, and Rudd resigned just as he was about to drop the rook on a8. The Gibraltar Masters is one of the 'big' swiss events on the international calendar. It attracts a large number of GM's and is probably has the strongest field of female players outside of the Womens World Championship and Olympiad. This years event is no exception and after 8 rounds Vassily Ivanchuck leads with 7/9, just ahead of Nigel Short and Victor Mikhalevski. And further down, demonstrating one of the attractions of an event like this, Viktor Korchnoi and Australian IM Aleks Wohl are both on 5/8 and drawn to play each other in round 9. So far Wohl has had a solid tournament, although his opponents have been 2100 untitled players or 2500+ GM's. The tournament website has links to all the results and live coverage. I'm assuming the Wohl game will be viable, either on the DGT page or on the Monroi link. or "Do as I say, not as I do." One advice I give to junior players is to play the game in front of you, and not worry about your tournament finish. It is advice based on a saying I once heard which goes "The man who aims to win the competition will not, it is the man who aims at the bullseye who will". Of course having passed this advice to others, I have not applied it myself. Before the 2011 Oceania Zonal I had a couple of goals. The first was to reach 50% (which I did), and the second was to finish first amongst the Pacific island players (which I did, tying with Manoj Kumar and Sam Goundar from Fiji). I did this in part by reaching 50% with a win in round 7, and then coasting home with 2 draws. However I may have achieved more by trying to win either of those games, but consciously decided not to. was a reaction to the results from the first Olympiad I played in in 2000. There were a number of games where I thought I was better, from a club/hacker point of view, which I then lost due to better defensive technique than I was used to facing. As a result I adopted a more cautious approach in future Olympiads, deciding that a half point gained was more important than a half point lost. However this resulted in a mind set where an equal position became the end of the game (ie I was happy to offer/accept a draw), rather than the start of the game (ie It was up to my opponent to defend an equal position). The resulting change of style then carried over to my general play, where I found it harder and harder to create winning chances. Of course the fact that I dislike losing more than I enjoy winning is the other significant factor. There was also the importance of personal pride. Having not played a zonal before I decided that 4.5/9 was an 'acceptable' showing. Of course focusing on the score like this ignores the fact that I should have scored more (based on rating) than I did. But when I look at the results 50% will still be 50%. Having said all that, I went away from the tournament happy with my result. Partially this was a result of the feeling that I played better than at the 2010 Olympiad (4/11 was my score there). I put a lot more work into my opening prep, and most of it 'worked', in the sense that the deviations from theory were after 12 or 15 moves, rather than 6 or 7. I was able to predict a lot of my opponents opening choices, and prepare accordingly, although I did have a couple of malfunctions (rounds 3&4 weren't so great, and I mixed up a prepared line in round 6). But when it did work I mostly got to the middlegame in one piece, and in a couple of instances held a clear advantage. 13.h5 Nxh5 14.g4 Nf6 15.Qh6+ Kh8 16.e5 Nxe5 17.Ne4 Nh5 18.gxh5 Bf5 19.Ng3 f6 20.Nxf5 gxf5 21.Qf4 Qe6 22.Kb1 a5 23.Ne2 a4 24.Qe3 a3 25.Nf4 Qf7 26.Ng6+ Kg8 27.Nxf8 axb2 28.Qb3 Qxb3 29.cxb3 Kxf8 30.Bd3 Nxf3 31.Bxf5 Ng5 32.